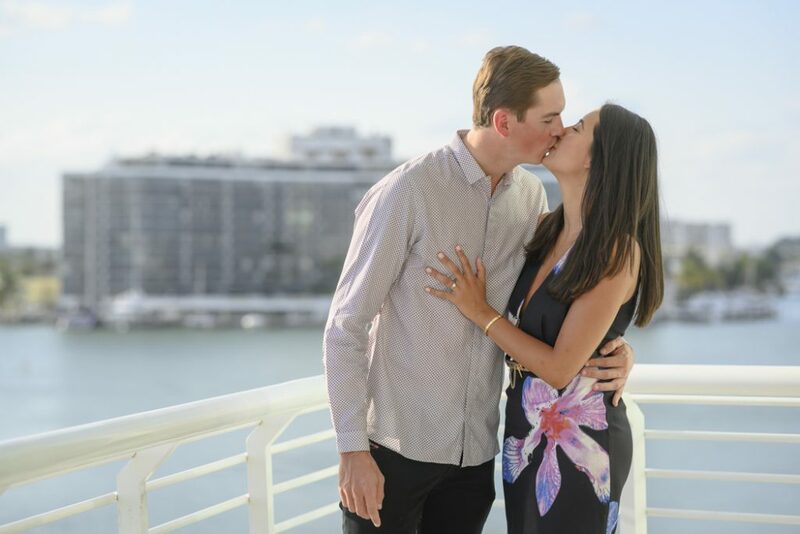 Antoine reached out to Paparazzi Proposals to help coordinate and capture his Miami engagement proposal to Faith on his balcony with the water and bright sky as the picture-perfect backdrop. Our photographer was introduced to his girlfriend and capturing pictures of the property for a real estate magazine. This coy made it easy for him to be there to capture the big moment without having to hide. It was a gorgeous day with clear skies and an a sparkling ocean, so it made the balcony that much more picture-perfect. While outside, Antoine asked our photographer to snap a picture of him and Faith, which was the secret cue. 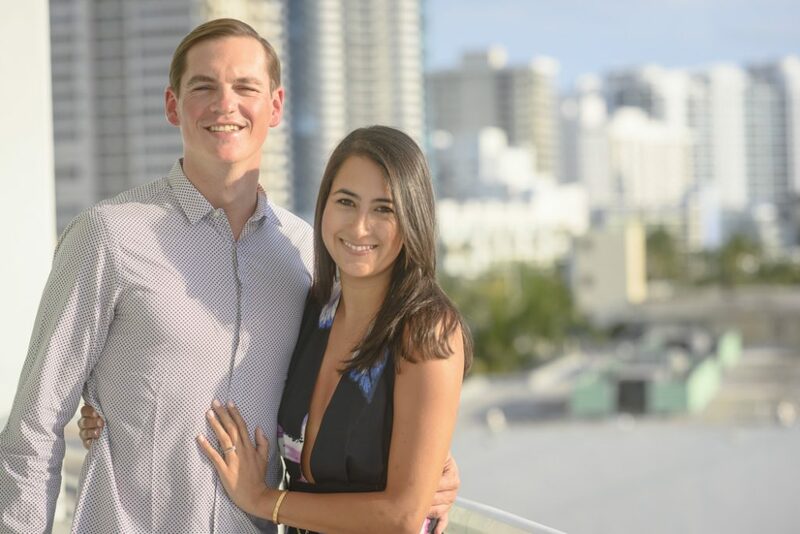 Looking for more amazing proposal ideas in Miami? Work with the experts and receive a $75 discount! 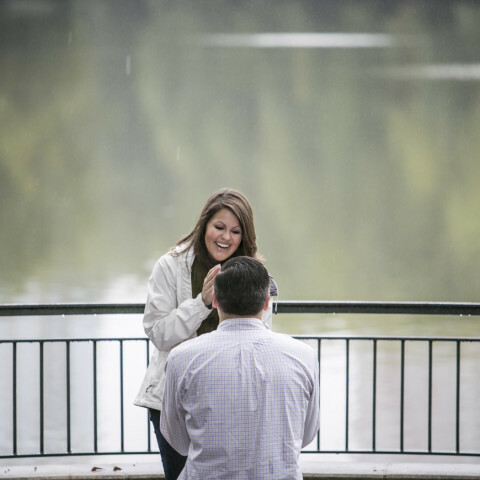 When it came time for the big moment, Faith had no idea what was going on until she saw the diamond ring! Our photographer was perfectly positioned to capture the proposal. After all the excitement, he revealed why he was really there and capture a beautiful portrait session of the newly-engaged couple with the stunning backdrop. The fun is just getting started. 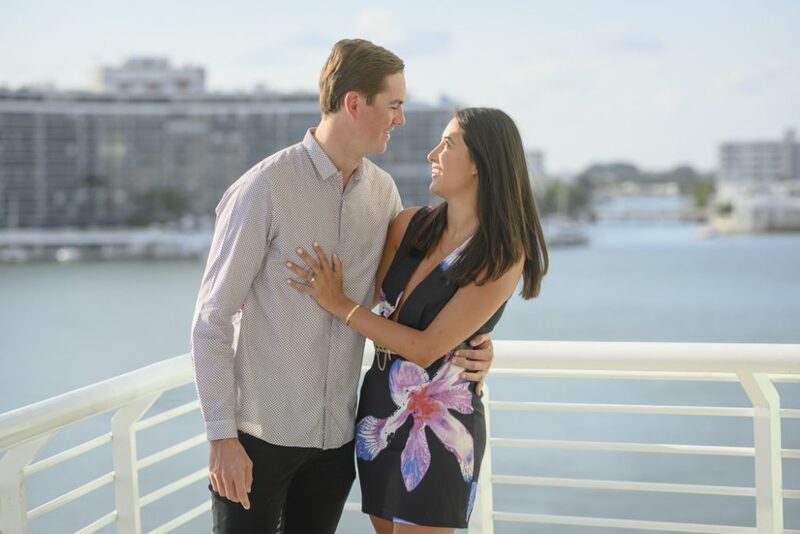 Be sure to follow us on Facebook and Instagram for romantic and creative Miami engagement proposals and proposals nationwide! It will be once-in-a-lifetime, captured forever! Give someone from our team a call now at 1 (888) 287-5120 to start the planning and go over ideas!